Games based on popular anime series have garnered a bad reputation for being low quality. Recent games like Dragon Ball FighterZ have certainly helped to better the general public’s opinion but we’re still far from the point where people expect AAA experiences from anime titles. The Seven Deadly Sins: Knights of Britannia serves as a shining example of just how poorly made these kinds of games can be, managing to disappoint players in nearly all aspects of its gameplay. 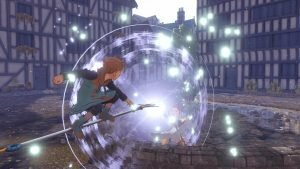 The Seven Deadly Sins: Knights of Britannia (PS4) – image for this review provided by Bandai Namco. 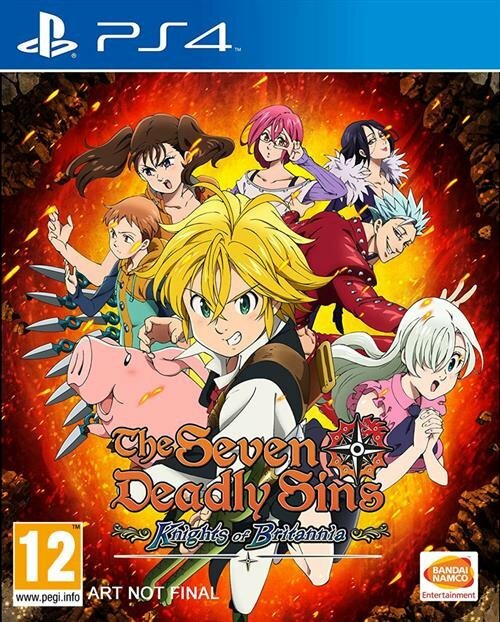 The Seven Deadly Sins: Knights of Britannia follows the story of The Seven Deadly Sins anime and manga series. 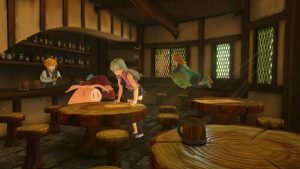 The way that The Seven Deadly Sins: Knights of Britannia presents its story is lacking, sticking to static anime portraits or in-game character models with very limited movement. 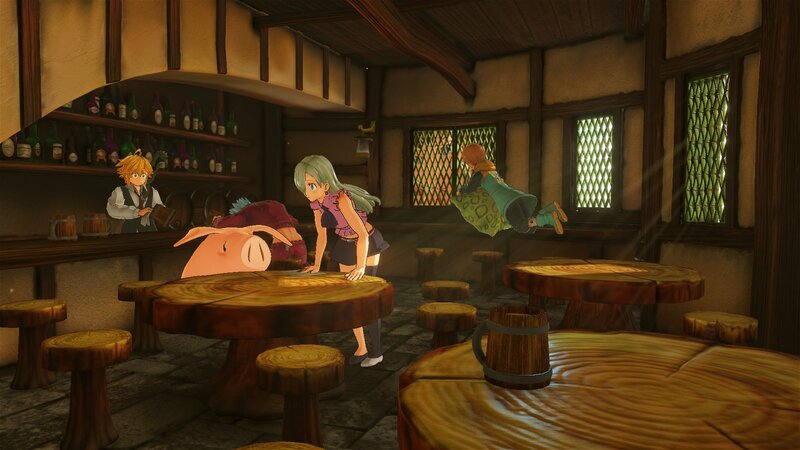 While The Seven Deadly Sins: Knights of Britannia does include many of the series’ iconic moments, the game’s stagnant cutscenes fail to capture a lot of the impact they originally had. There’s also a notable amount of padding added to the main plot, serving only to extend the game’s playtime. This includes characters going on fetch quests to collect flowers or being attacked by hordes of nameless enemy grunts. Although The Seven Deadly Sins: Knights of Britannia’s dialogue is almost completely voiced, fans of the series may be disappointed to learn that there is no English dub available. The Seven Deadly Sins: Knights of Britannia’s story is told through its Adventure Mode. This mode has players taking control of the series’ main heroes, travelling around the land of Britannia and completing sets of missions to progress through the plot. Despite the game’s world map being freely explorable, there isn’t anything to do aside from going to story locations or extra battles. As if the slow pace at which you move around isn’t bad enough, the map is filled with several places you can only visit at certain points in the story, something you’ll only learn once you’ve arrived. 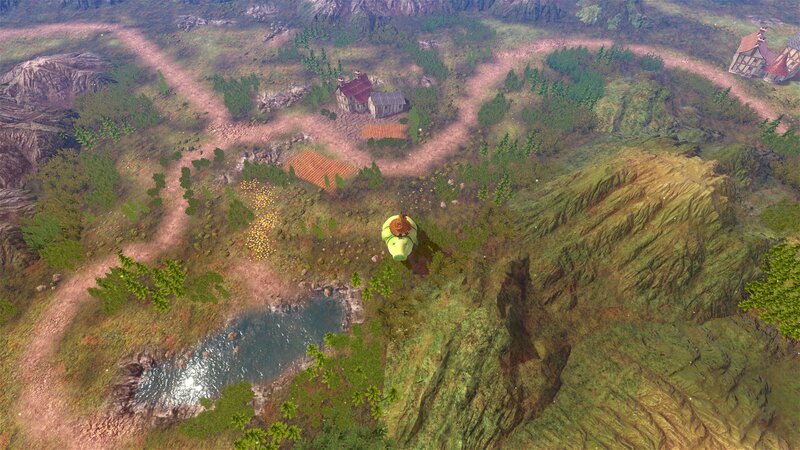 Considering the game’s mission list structure, The Seven Deadly Sins: Knights of Britannia would have greatly benefitted from a drop-down menu of the game’s locations. There’s also an option to craft and equip items outside of missions but with how unchallenging the actual combat is, there’s no real reason to go through the extra trouble of grinding for materials. Missions can be categorized into three different types and unfortunately, none of them are all that good. The first type has you choosing two of your selectable knights, one for you and one for the AI to assist. You’re then placed in a small arena where you fight waves of weak enemies in hack-and-slash style gameplay. It’s mindless and insultingly easy. There were a number of missions I managed to complete by mashing the square button, performing the same basic attack chain while enemies walked right into them. The second mission type has players control Elizabeth in order to gather materials. These missions feel the most random and totally out of place in an action game. 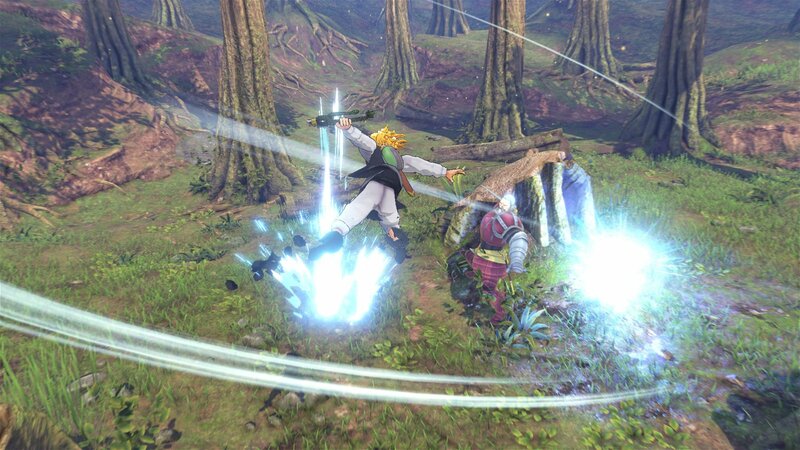 The Seven Deadly Sins: Knights of Britannia’s final mission type are duels which can be fought either one-on-one, two-on-one or two-on-two. While still unpolished and just as easy, this type of gameplay does feel the most natural for a game like this. Duel Mode is also offered as a standalone game type, even going as far as to have both local and online multiplayer. You’ll need to complete the Adventure Mode if you hope to any fun with it though, as the entire roster is locked behind the game’s story. The big problem plaguing all aspects of The Seven Deadly Sins: Knights of Britannia core gameplay are the controls. There’s a delay between nearly every button press in combat which causes a slew of accidental movement. This is especially prevalent when trying to perform moves that require simultaneous button presses such as special moves or strafing. Another glaring issue is the game’s stage hazards. The Seven Deadly Sins: Knights of Britannia features fully destructible environments. While this helps to bring the game closer to the explosiveness found in its source material, it almost always leads to characters getting caught on any of the debris. This even extends to getting caught on other characters, whether they’re on your team or not. This often brings what could potentially be quick paced action to an abrupt halt due to a small rock on the ground. 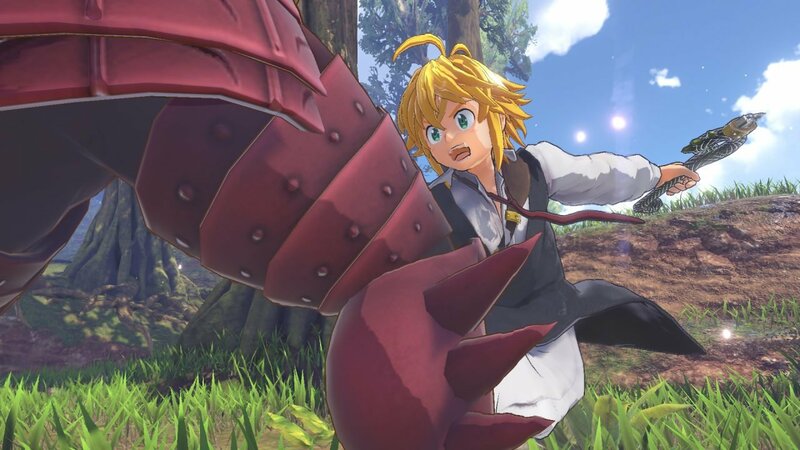 The Seven Deadly Sins: Knights of Britannia represents a lot of the worst things about video games based on anime, mixing a low budget with half-baked ideas. Even if its gameplay turned out to be more engaging, the game’s poor controls actively work against it. Diehard fans will be especially disappointed with the game’s watered-down version of the series’ plot and limited visuals. With the anime’s popularity supposedly on the rise, I hope that fans can one day get the game they deserve but The Seven Deadly Sins: Knights of Britannia isn’t it. Even with an IP as interesting as The Seven Deadly Sins, The Seven Deadly Sins: Knights of Britannia is held back by buggy controls and even more buggy mechanics.